Sparks, Nevada. September 26, 2014 – Louisville, Colorado’s Sierra Nevada Corporation (SNC) Space Systems announced today that it has filed a legal challenge to the award of contracts to Boeing and SpaceX under the Commercial Crew Transportation Capability (CCtCap) program. The CCtCap program will restore U.S. human transportation capability to the International Space Station. SNC, Boeing and SpaceX submitted separate proposals for the CCtCap program. All three of the companies were found to be compliant and awardable under the criteria set forth in the request for proposal (RFP), but only Boeing and SpaceX were selected. On September 16, NASA announced that it would be splitting the $6.8 billion contract between Boeing and SpaceX, with Boeing receiving $4.2 billion and SpaceX the remaining $2.6 billion. SNC stated in a press release that with the current awards, the U.S. government would spend up to $900 million more at the publicly announced contracted level for a space program equivalent to the program than SNC proposed. Importantly, the official NASA solicitation for the CCtCap contract prioritized price as the primary evaluation criteria for the proposals, setting it equal to the combined value of the other two primary evaluation criteria: mission suitability and past performance. SNC’s Dream Chaser proposal was the second lowest priced proposal in the CCtCap competition. SNC’s proposal also achieved mission suitability scores comparable to the other two proposals. Out of a possible 1,000 total points, the highest ranked and lowest ranked offerors were separated by a minor amount of total points and other factors were equally comparable. In its 51 year history, SNC has never filed a legal challenge to a government contract award, but feels that in the case of the CCtCap award, NASA’s own Source Selection Statement and debrief indicated that there are serious questions and inconsistencies in the source selection process. SNC’s filing seeks a further detailed review and evaluation of the submitted proposals and capabilities. 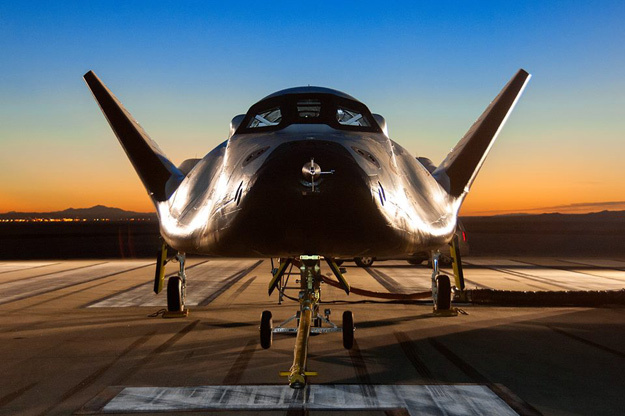 Earlier this week, several newspapers reported that Sierra Nevada had laid off about a hundred of its employees, but that it intends to continue with development of the Dream Chaser program.